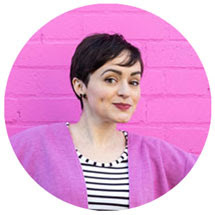 If you haven't yet joined the Miette sewalong, order your pattern and check out the previous steps to choose your fabric and cut out the right size. You should have cut out four pocket pieces. Two of these pieces will show on the outside of your skirt – we’ll call these the “pockets”. The other two will line the inside of the pockets – we’ll call these the “facings”. 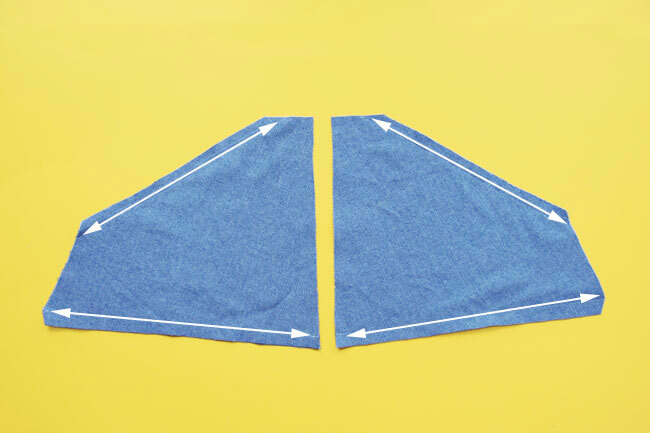 If your fabric is relatively lightweight, it may stretch out, so it's a good idea to staystitch the long diagonal seams before sewing to help keep them the same length. All that means is sewing a line of stitching on a single piece of fabric 10mm (3/8in) from the raw edge. Place each pocket on top of its matching facing, with the right sides of the fabric touching, matching up the notches. 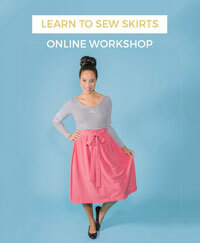 Pin together at the long diagonal seam and bottom seam. 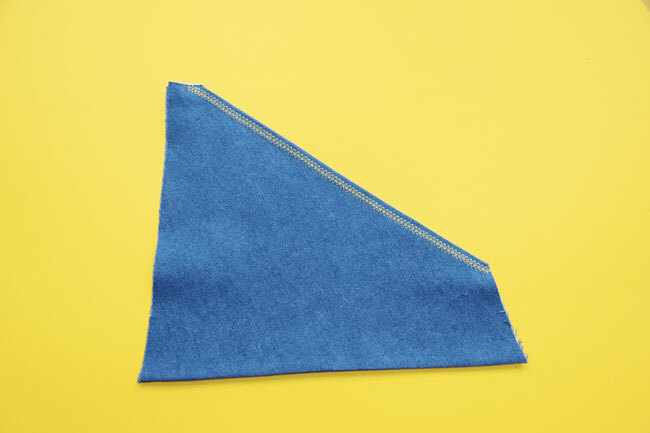 Stitch the pocket and facing together at the bottom seam and long diagonal seam only (the edges indicated by the arrows above). Repeat with the other pocket. Unless stated otherwise, all seams in our patterns are sewn with a 15mm (5/8in) seam allowance - line up the raw edges with the 15 or 5/8 seam guide line on your sewing machine to sew at an even distance from the edge. Trim the seams that you have just sewn to about half their current width. This will help the edges lie flat when we turn the pockets right sides out. Press the seam allowances open with your iron. Turn the pockets right sides out, and press again. 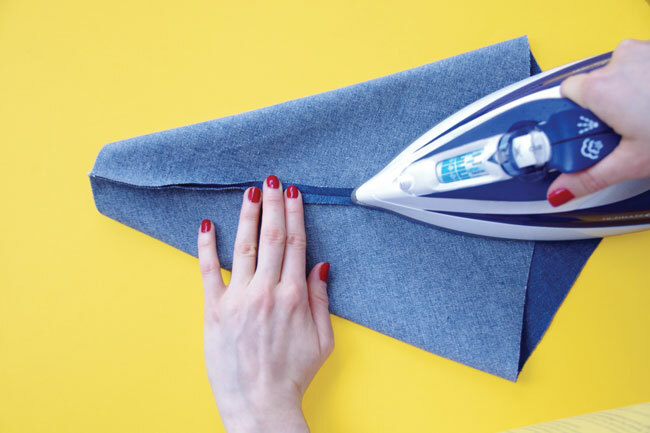 Pressing will really help your seams look nice and neat. Now we’re going to topstitch the top diagonal seams of the pockets. Topstitching means stitching on the outside of the garment, close to the seam line, to hold the seams down. If you’re worried about wonky stitches, use thread which matches your fabric so any wibbly bits are hidden! 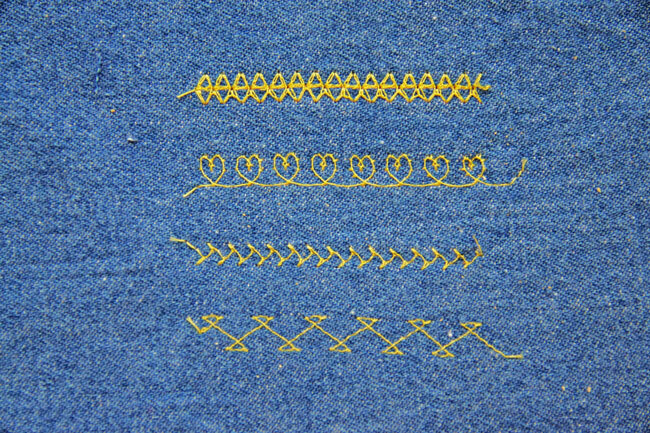 If you are a more confident stitcher or just like living on the edge, you might want to topstitch in a contrast colour thread as a design feature. You could even play around with one of the fancy stitch settings on your machine. Topstitch along the long diagonal edge of each pocket, about 5mm (¼in) from the edge. 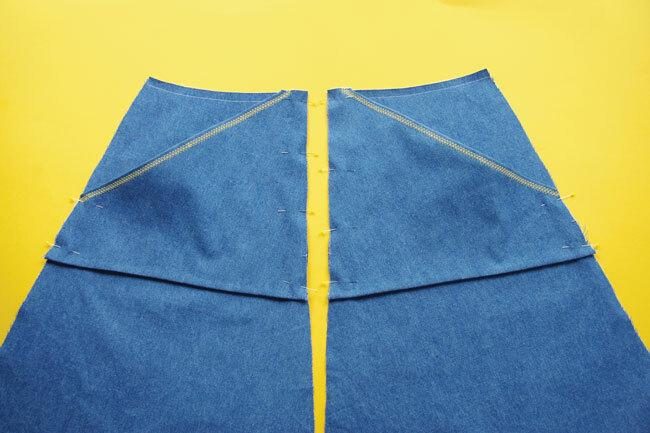 Pin the pockets to the skirt front pieces, the facings against the right side of the skirt, matching up notches. 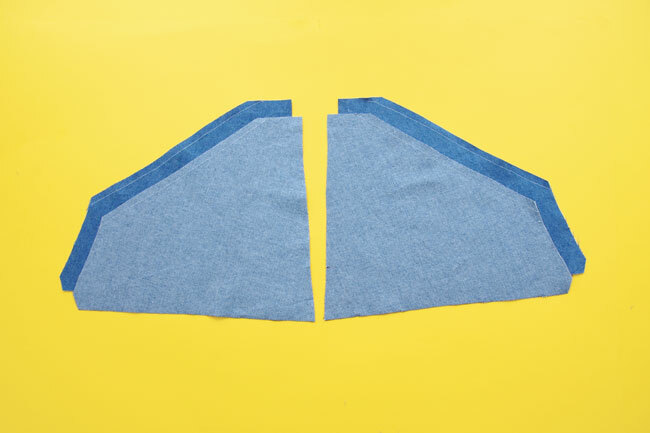 Make sure you’re matching up the raw edges of the pocket and skirt exactly. 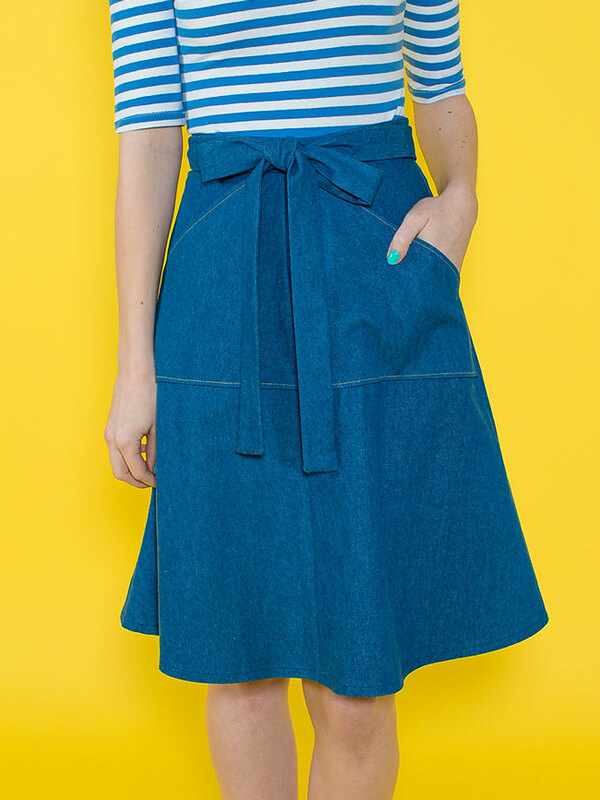 The pockets aren’t meant to lie completely flat against the skirt – some ease is included so you can get your hands inside. Now we’re going to create temporary tacking or basting stitches to hold the pockets in place before sewing the skirt together (we'll rip the basting stitches out later). Thread your machine up in a contrast colour thread and set the stitch length on your machine to 4mm – sewing longer stitches in a different colour will make it much easier to rip them out later. 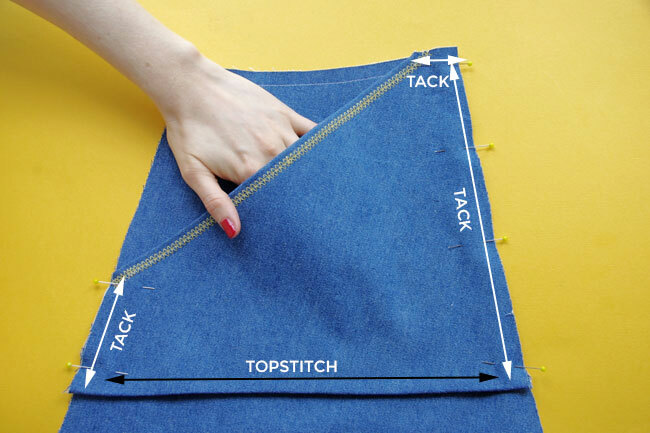 Tack the short top edge and sides of the pockets to the skirt, using a smaller seam allowance - about 1cm (3/8in) - so that the real stitches we do later won’t fall directly on top of them. 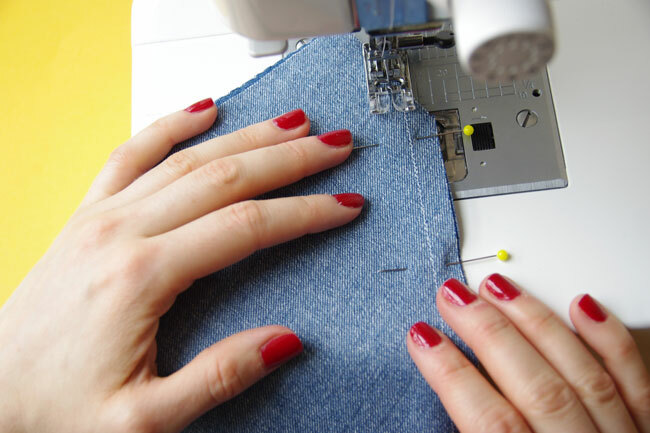 Reset the stitch length on your machine to 2 – 2.5mm. Topstitch the bottom edge of the pockets to the skirt (again, it’s your choice whether you use matching or contrast thread), 5mm (¼in) from the edge.